Hey everyone. I'm looking to get some information on some rivets -- Been hunting for these for over a year now and it just occurred to me to ask here. 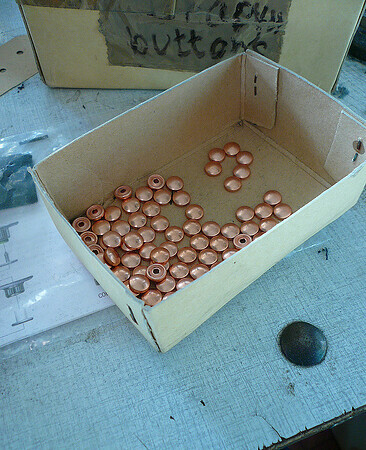 There are a few kinds of rivets that I'd like to get my hands on for something I'm making. 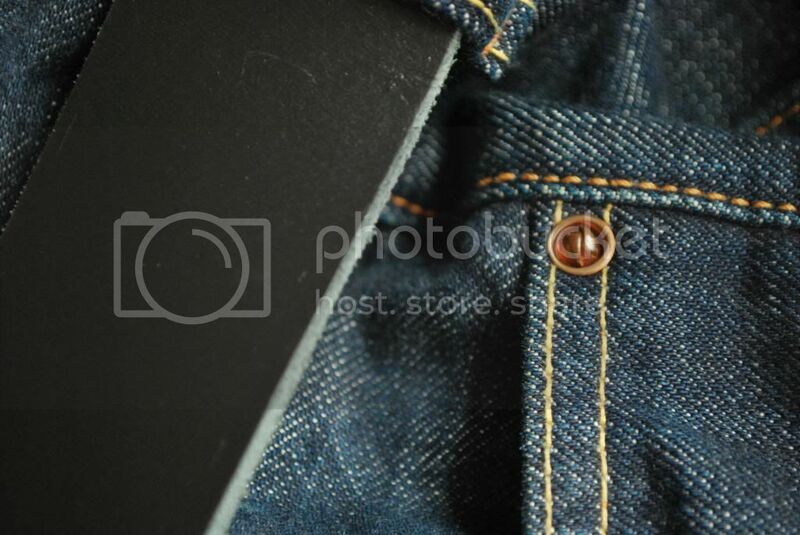 The first is the UFO rivet like the one seen on this old pair of jeans. There are some modern versions of this type that I've found online, but they're just flat discs with a dome in the center -- they don't have the bell shape like these ones do. Not sure if they even make them like this anymore unless you have them done up custom. 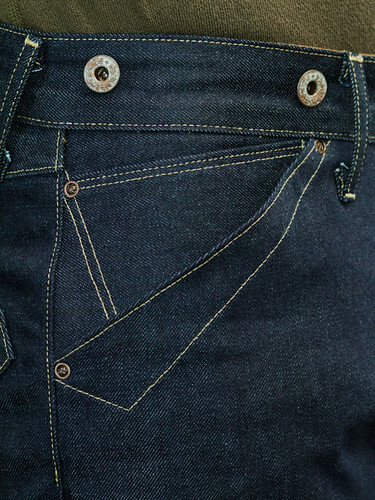 The closest thing I've seen are the Buzz Rickson rivets on some MF stuff, and these rivets that Ooe-Yofukuten has as an option at their shop. 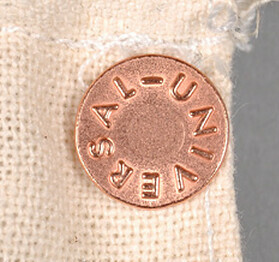 Then there are the wrangler-style copper dome universal rivets that Bill at Tender Co uses. I live a short ways away from Downtown LA so brick-and-mortar shop recommendations are great but any leads will help. 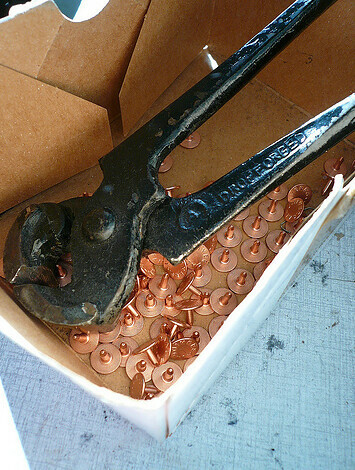 i too have interest in the double prong copper rivets and would love to get my hands on some. 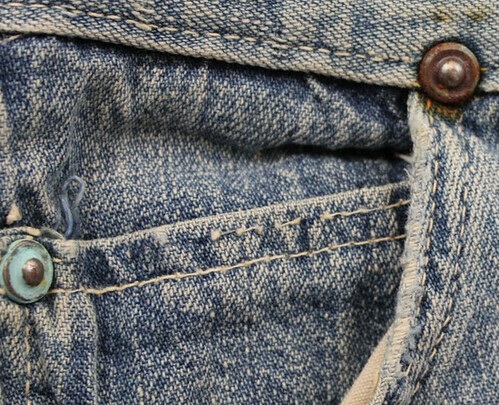 also seems like the double prongs copper rivets are nothing new, and i suspect they are widely available in jpn since ooe and kapital use them. I happen to have a pic on my kapital elders. it sure seems pretty solid and serves it's purpose well. Happy solstice to me! My wife and daughter gave me a kick-press machine for solstice/christmas. 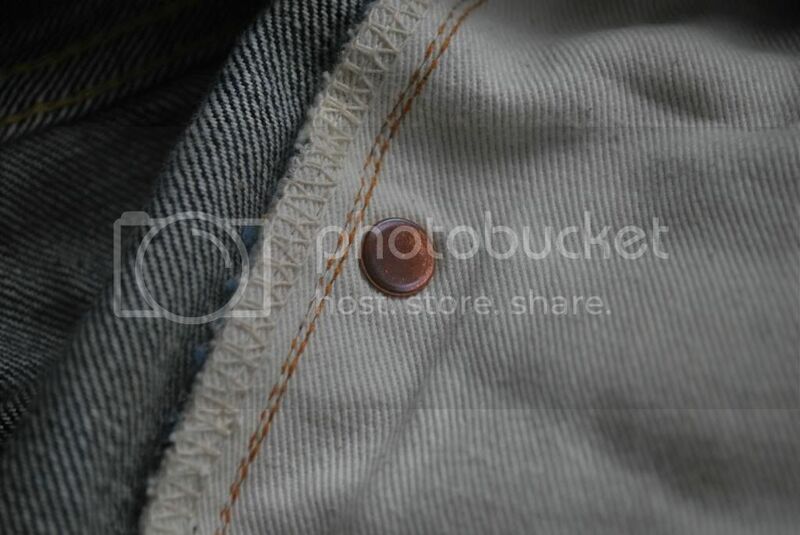 Now i'm really interested in finding these rivets. Anyone know anyone who can give me some information on rivets and dyes? this is who I used when they were in SF now they are in LA. they made a couple of custom dies for me and I bought my kickpress from them. they might have the double prong or be able to give you a lead. I haven't dealt with them since they left SF. Thanks! I'll give them a ring. I appreciate the lead!